Tim Petrie is a sports medicine physical therapist and a certified orthopedic specialist practicing in Milwaukee, WI. In addition to treating patients of all ages, he is passionate about writing about health and wellness topics. In his free time, Tim loves to run and travel with his wife and two kids. 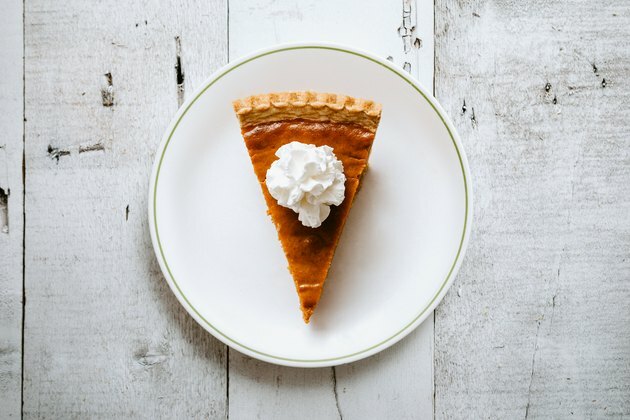 Want to take your desserts up a notch the next time you have dinner guests? Instead of buying store-bought whipped cream, try making your own from whole milk. Following a few easy steps, you can make delicious whipped cream without all the preservatives and chemicals that can be found in many pre-made varieties. Making whipped cream at home requires several, common household ingredients. Start by gathering together 2 teaspoons or one packet of unflavored gelatin, 1 1/4 cup of chilled whole milk and 2 tablespoons of granulated sugar. You can also substitute confectioners sugar, but you will need to sift it first to avoid clumping. Finally, you will need a whisk or a hand mixer to effectively mix the ingredients together. 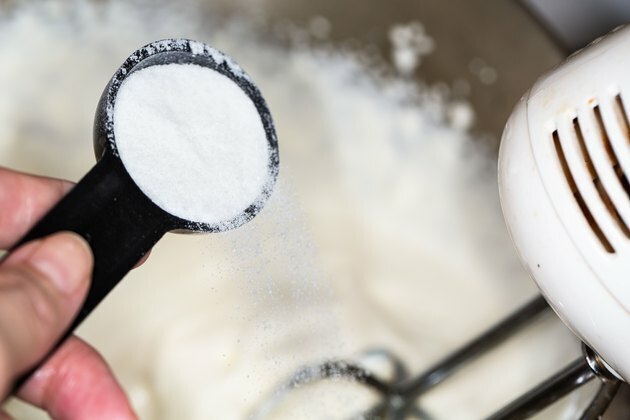 Begin by placing your whisk or mixer beaters in the freezer for 10 to 15 minutes. 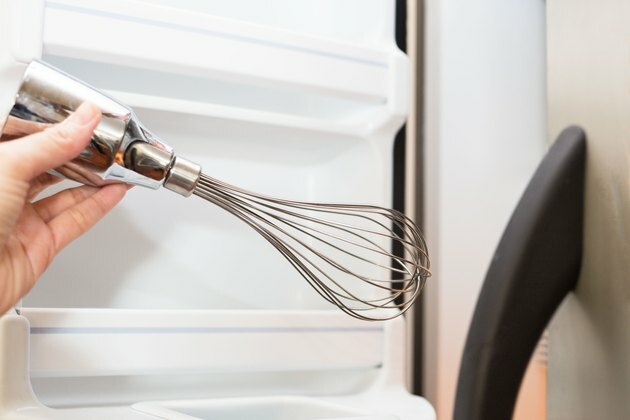 Cooling your utensils helps to increase the volume of your whipped cream so that it is thicker. While the whisk is cooling, pour ¼ cup of the cold milk in a bowl and stir in the gelatin. Allow the ingredients to sit for 5 minutes until they are firm and spongey. Then, place this mixture in the microwave for 15 to 30 seconds until it becomes liquid again. When this occurs, set your bowl off to the side and allow the gelatin mixture to cool. In another bowl, mix the remaining 1 cup of milk and the granulated sugar together. When the two have been combined, add the cooled gelatin mix to the bowl and stir the ingredients together before putting the bowl in the refrigerator for 20 minutes. ½ teaspoon of vanilla extract or cinnamon can also be added to enhance the flavor if you desire. After the mixture has been in the fridge for 20 minutes, take it out and use the whisk or a hand mixer on a medium speed setting to beat it until it becomes thick and voluminous. How Do You Beat Whipping Cream to Stiff Peaks? The longer you whisk your cream, the stiffer the mixture gets. After a few minutes of whisking, the mixture will have soft peaks that hold their shape for a few seconds before falling back over. Whisking for another minute or so will produce stiffer peaks that hold their form when you lift the whisk or beaters out. 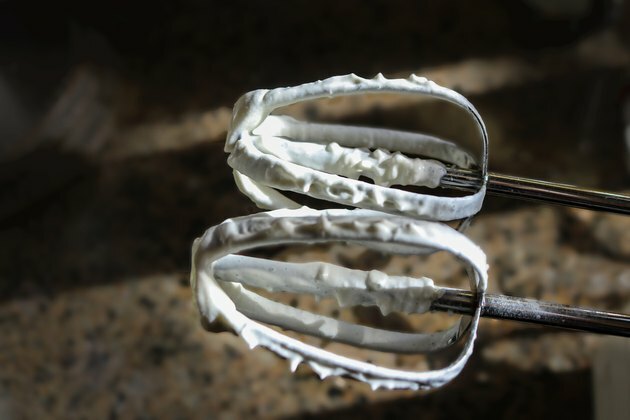 Don’t whisk for too long or your whipped cream will assume a grainy, mashed potato-like consistency. Can Cream be Whipped in a Blender? An immersion blender can be substituted in place of a hand mixer to whip up the ingredients once they are combined. Traditional blenders can also be used, but be sure to monitor the consistency closely. Whipping the ingredients for too long can turn them into butter and can also burn out the blender’s motor if you are not careful. 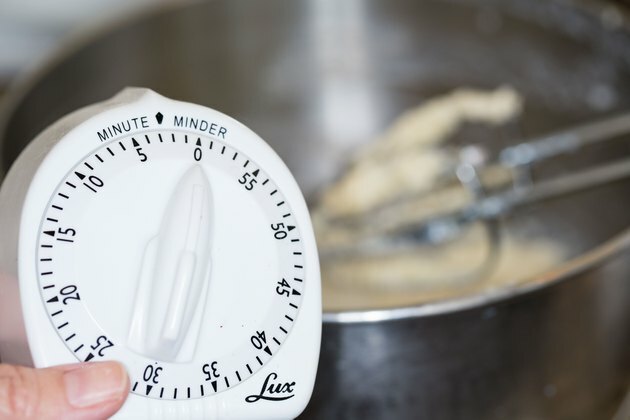 Use the medium speed setting and mix the ingredients in 5 to 10 second increments until they reach the desired thickness. Will Whipped Cream Stay Overnight? After following the steps above, your whipped cream is ready to eat immediately! However, if you are trying to prepare it ahead of time, the topping can also be refrigerated for a day or two. You may need to briefly whip it up again with a whisk before serving to achieve the optimal thickness. Unfortunately, homemade whipped cream does not freeze well, so be sure to enjoy it while it’s fresh! Read More: Can I Use Whole Milk Instead of Heavy Cream in Icing? How do I Make Ice Cream Out of Jell-O Pudding Mix? Can I Use Whole Milk Instead of Heavy Cream in Icing?